Taiwan Semiconductor Manufacturing Company (TSMC) is the world’s biggest chip maker and while you might have heard about Qualcomm, Nvidia and Texas Instruments, those are only the chip designers working on ARM’s architectures. 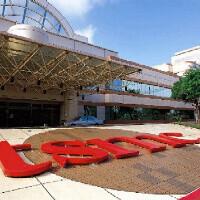 The actual manufacturing happens in Taiwan, and that’s why TSMC’s promise that we’ll see 20nm chips in 2013 is particularly exciting. What does a 20nm chip stand for, though, and why does it excite us geeks so much? In a nutshell, 20nm refers to the precision of the manufacturing technology used. As putting transistors on a chip becomes grows to a more precise 20nm scale, you get to place more and smaller elements on a single chip. This ultimately results in a hike in the clock frequency, a lower power consumption and more space saved possibly allowing for even thinner devices. Currently, Qualcomm has the headstart with its latest Snapdragon S4 chips, manufactured using 28nm technology at TSMC. Interestingly, only 5% of TSMC’s revenues currently come from 28nm chips, but we expect this percentage to grow quickly as more companies move towards the new technology in late 2012 and early 2013. By the end of the year, forecasts are that the 28nm revenue number will reach 20% of the chip manufacturer’s revenues. With smartphones and tablets performance actually depending mostly on the chip technology, the move towards 20nm is one where we can see another generation in speeds. We’d bet on late 2013 for the actual chips to start arriving on devices the earliest. Intel should be on 15mn by then. Yeah maybe late 2013 early 2014. Broadwell and Skywell will use 14nm process. They are due for 2014. Also i except delays from TMSC, their fabs aren't as advanced as Intel's. Awesome thank you! +1 for you. Intel is pretty confident about manufacturing up to 8nm (skipping 11nm process). After that the effects of quantum electron tunneling becomes serious (electrons won't go through gate, they will effectively disappear and re-appear on the other side). However other materials such as graphene( carbon nano tube) may be used for something smaller than 4nm (2022 according to intel roadmap). Using graphene we can reach upto 1nm (c-c bond has length of 0.14nm), after that say goodbye to Moore's law. @remixfa Yeah I agree. I'm happy to have lived through an era that emcompasses both the analog days and the digital one. Almost every new tech is groundbreaking for us. Kids of the future would never appreciate technological advancement the way we do simply because they didn't experience the manual way of things. It's insane who this technology is moving. This time last year everything was at 45nm. Now this time next year we should have 20nm. The battery life of our smartphone and tablets will start to go to the days limits instead of hour limits. This is to me just staggering. With 20nm you can see 3.0 to even 3.5GHz processors which is now creeping on to the desktop realm. Truly remarkable. Getting ahead of myself, but I wanna know how they keep improving speed and power consumption once we reach the hypothetical physical limit if these chips(8-10nm). Once you can't build smaller, you build with different materials or use a different method. I wanna know what thet'll be, and start buying their stock. Just like how HDD became SSD or plasma became LCD-LED. There's gotta be a next step. I agree with both of you, the way technology in general is advancing is outstanding, graphics on computers reaching photorealism in the case crytec3, graphics and cpu speed on mobile devices reaching desktop/console levels is just outrageous, nobody would have guessed any of this 5 years ago, not at this enormous level anyway. MIT is doing research where instead of using buses, the things that transmit data between the cores, the cores would operate using packets of data, sorta like the internet does. This would be important because as chips get faster, an extra bus would be added, and that would use LOTS more power. But using the packets, data could be transmited faster and more power effciently. IT would also allow more than two cores collaborate on a single project, which is the best that processors can do now. I'm nerding out hard right now. Gah! I've never been sold on 3D. It's like the ultimate gimmick to me. How is it cool? How does it enhance the experience? I feel like until it really is a hologram like thing, it's just pointless and distracting. I'm very curious what those who like it, like about it. I feel I'm missing something. Can you explain? im with ya doug. Until its an actual interactive hologram, i dont see it as more than an entertainment gimick. Of course, a 3D tv will probably be my next TV (once they figure out how to get rid of glasses and have a good effect).. but thats pure entertainment. A 3D phone needs to be functional 3D as well. ahh yes, i read an article about that yesterday actually. exciting stuff. Isn't the stock ticker "TSM"?